Amuse your friends by offering them a beer in a glass that looks as though it has been sliced into three parts! 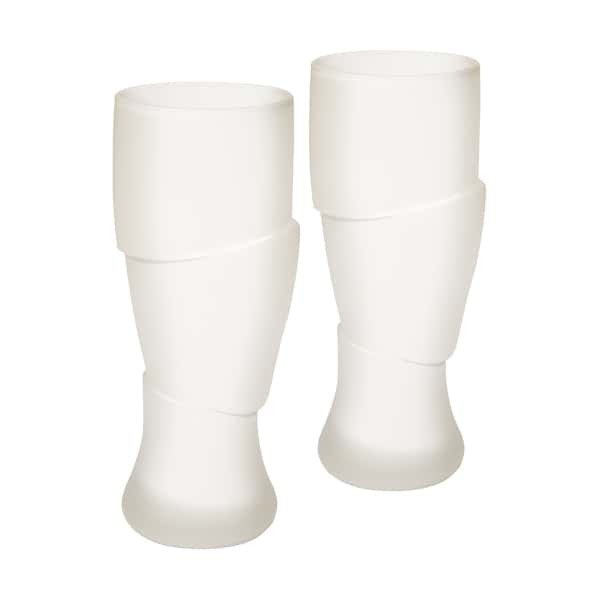 Designed by Rafal Pilat, it's a frosted drinking glass that looks like it's in the middle of splitting into three pieces right before your eyes. Yeah, similar to the kinds of things you normally see when you've already downed too much alcohol and aren't thinking very straight. Except it will look that way even when you're sober, so maybe you can judge your level of drunkenness by how straight the glass looks as the night wears on instead? 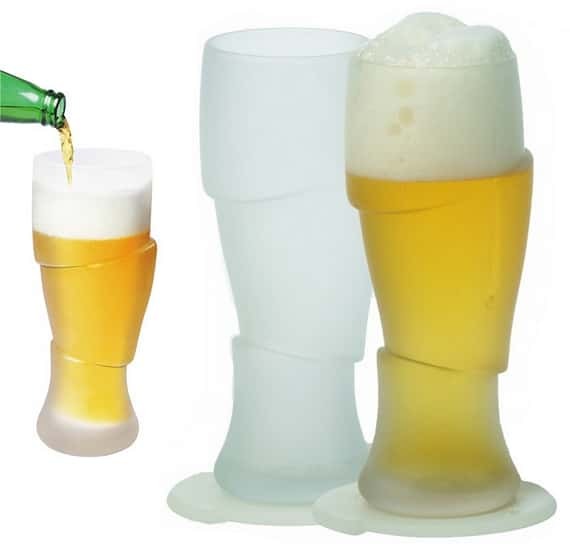 Each Surreal Sliced Beer Glass measures 7.5 x 3.5 cm (h x d), with capacity to hold up to 12 ounces of beverage. While it looks like a ninja cut through the glass with a super sharp sword in two places, it's really not, so no need to worry about any beer spilling off the cracks. It's definitely a fun way to serve beer this holiday season. 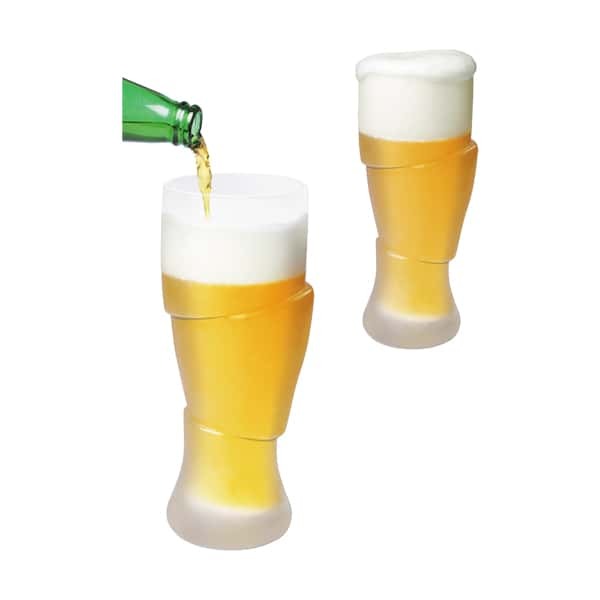 The Surreal Sliced Beer Glasses come in sets of two with a pair of silicone coasters in tow, priced at €24.50.